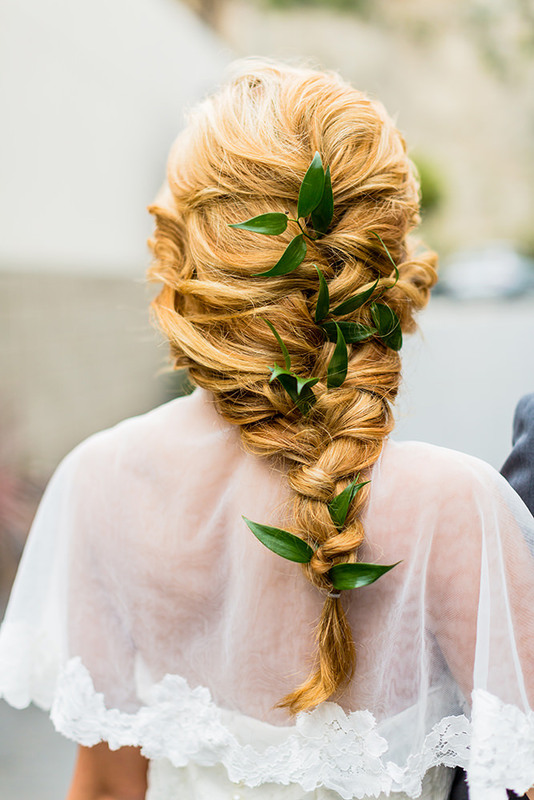 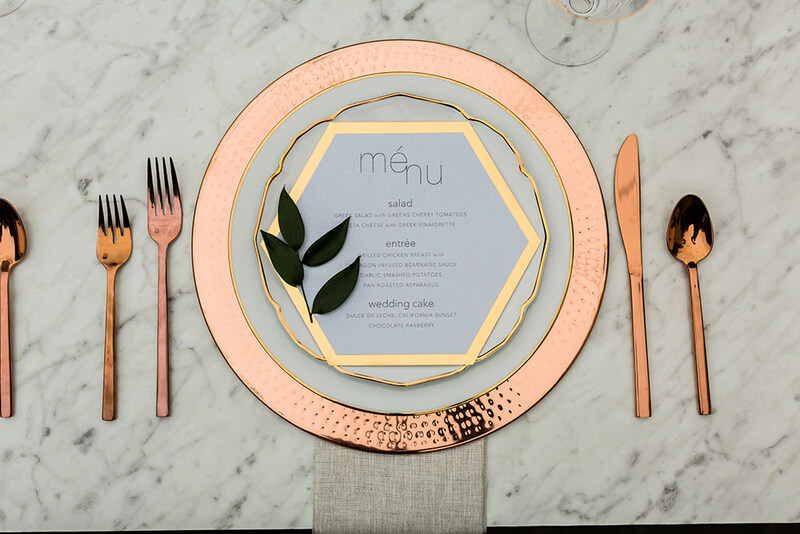 FEATURED on Style Me Pretty! 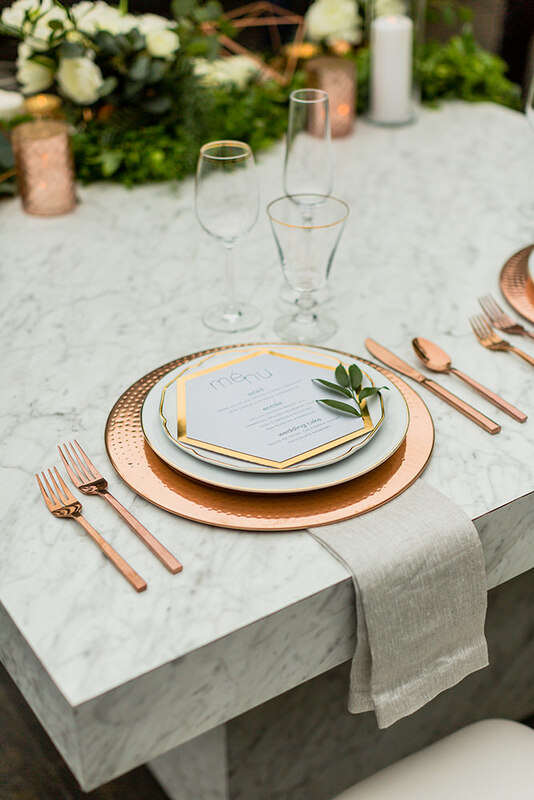 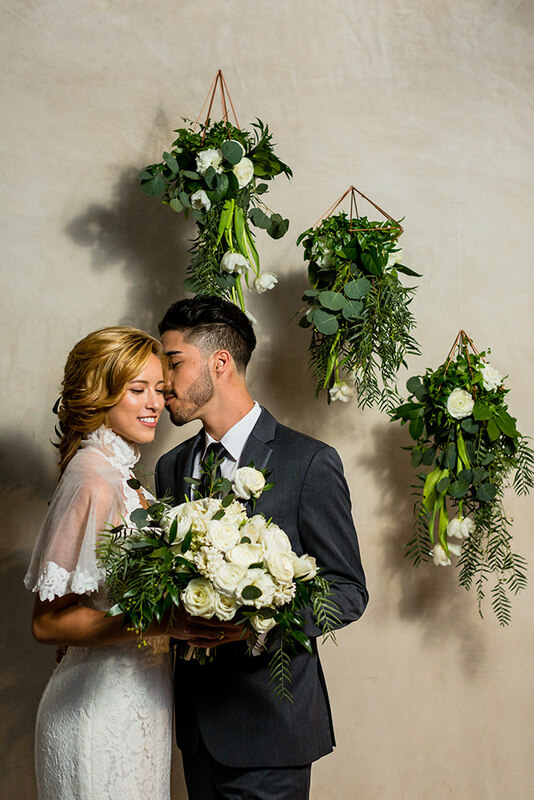 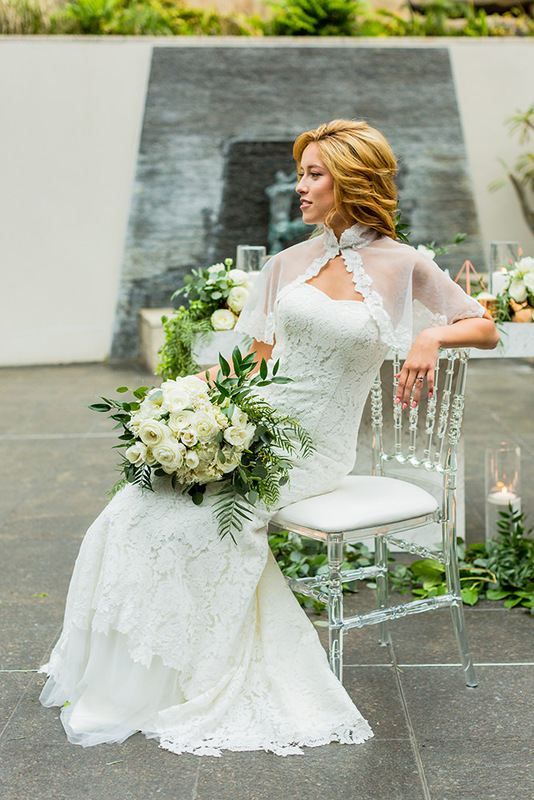 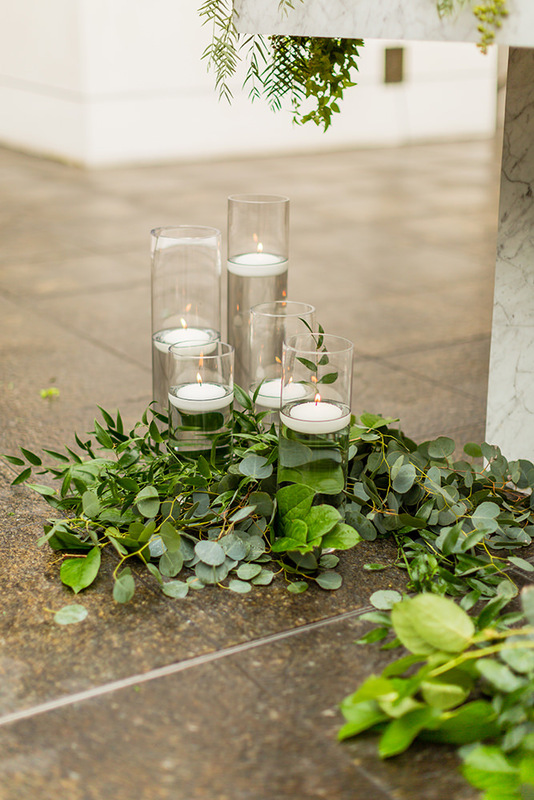 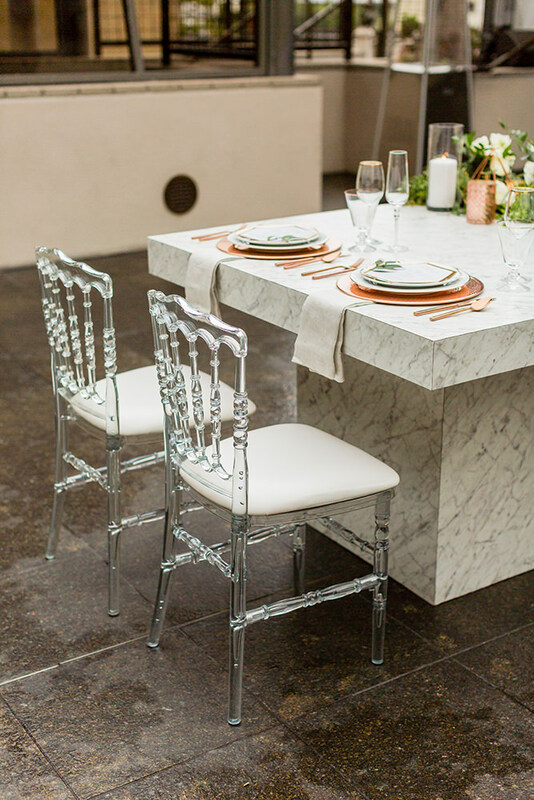 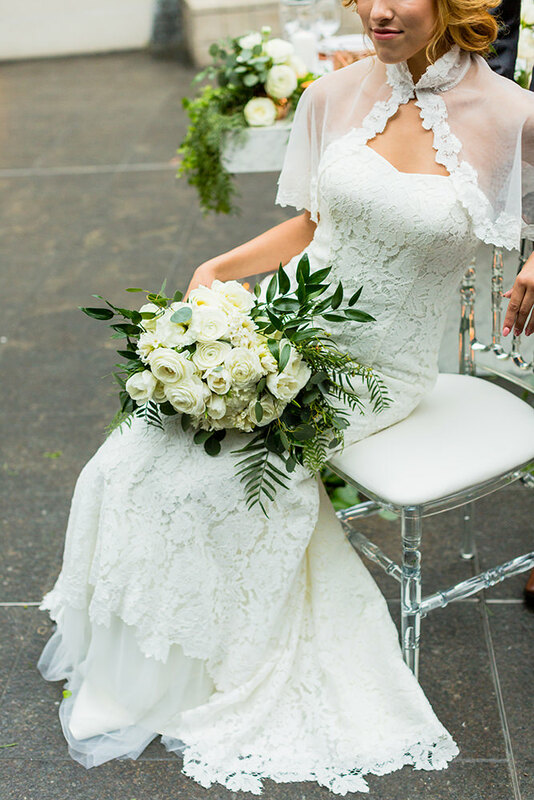 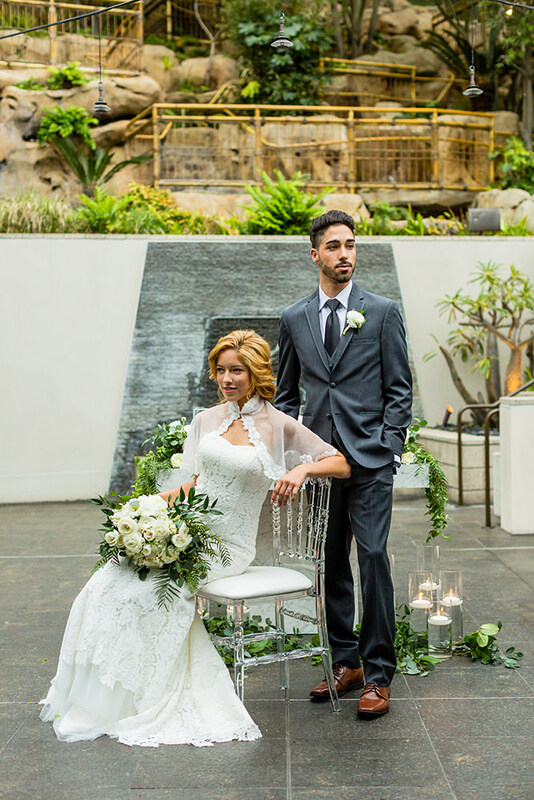 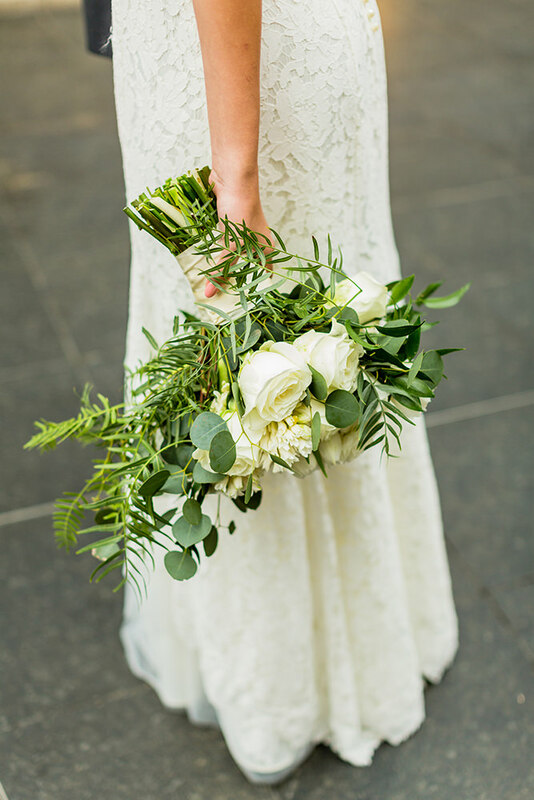 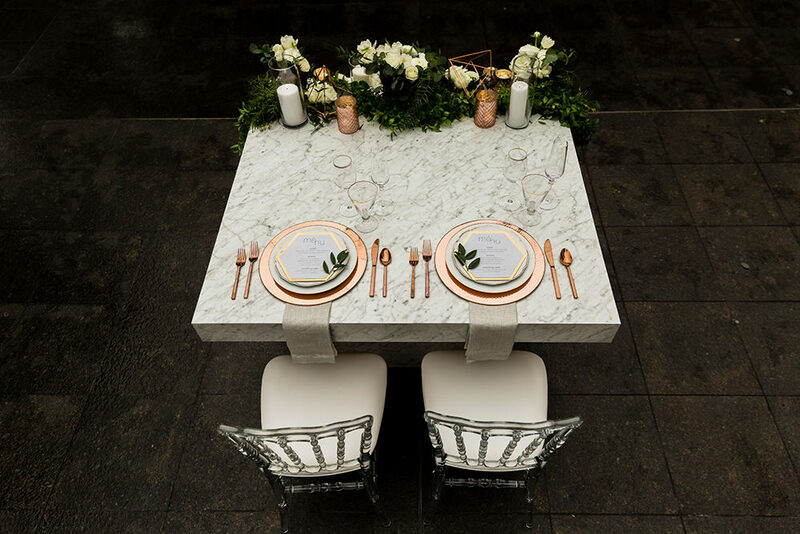 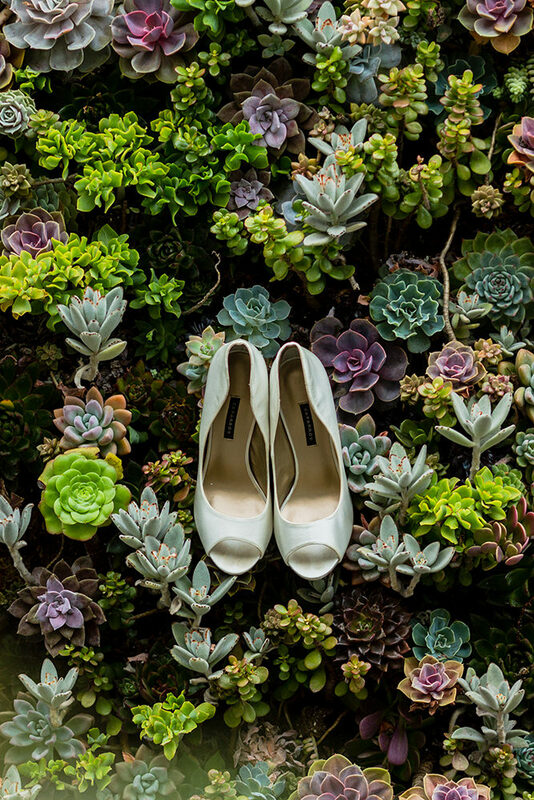 The inspiration behind this stylized wedding shoot was a modern take on East meets West. 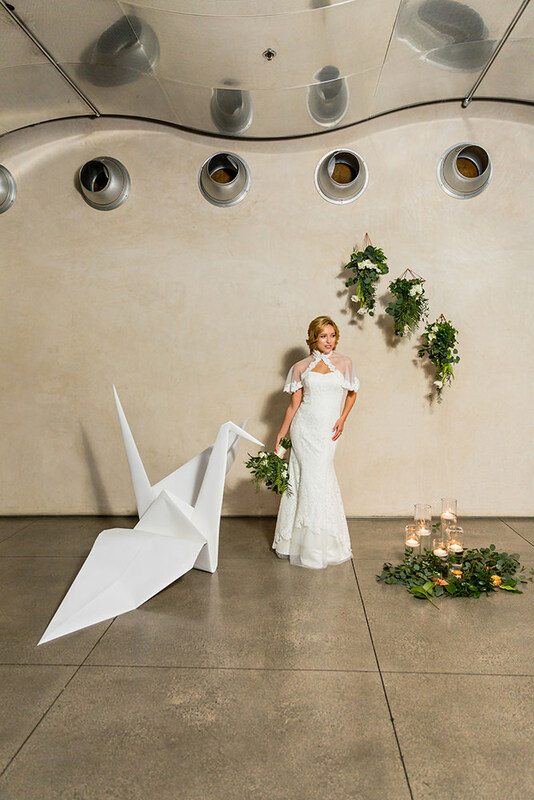 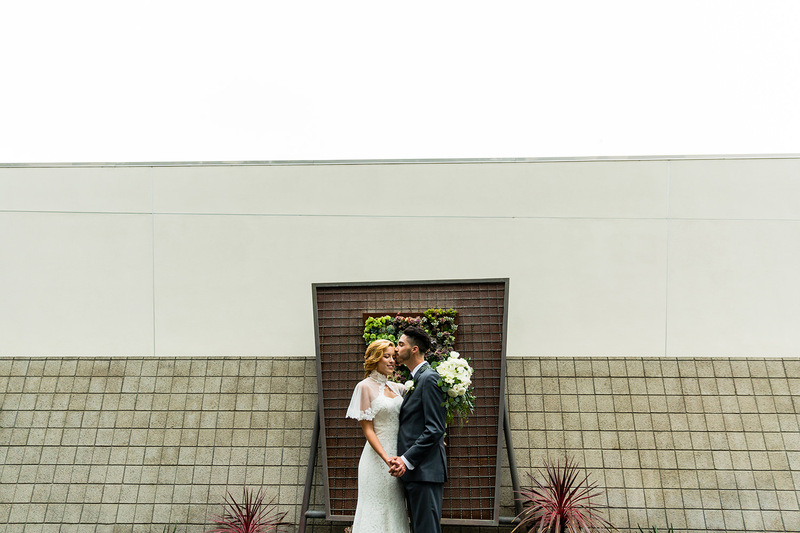 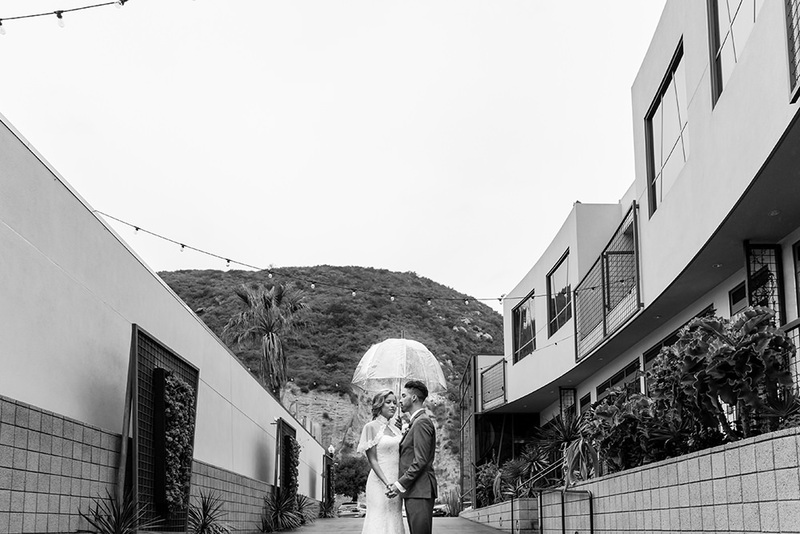 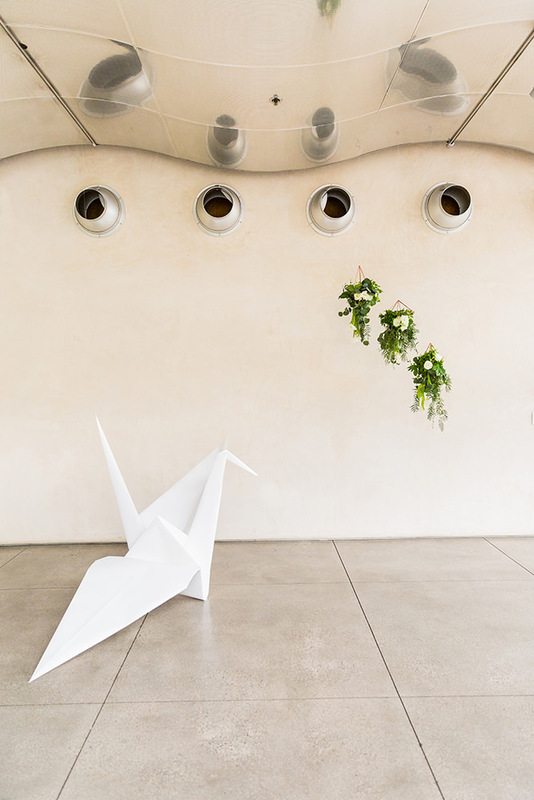 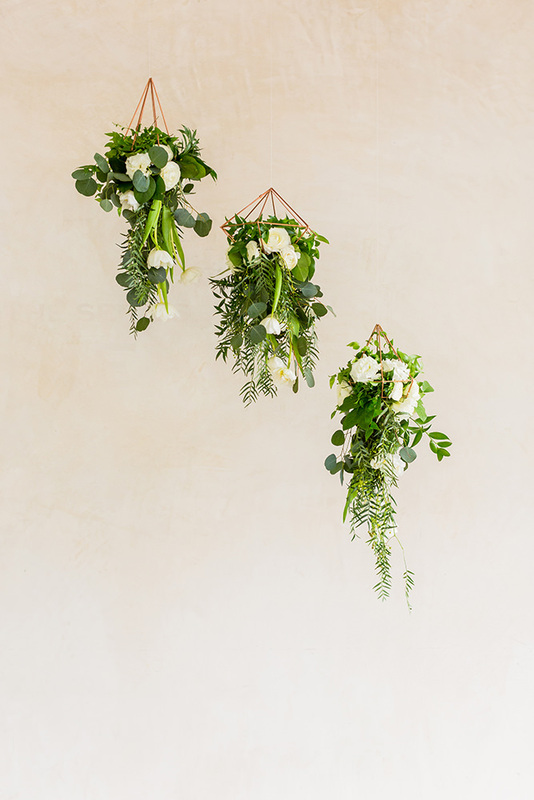 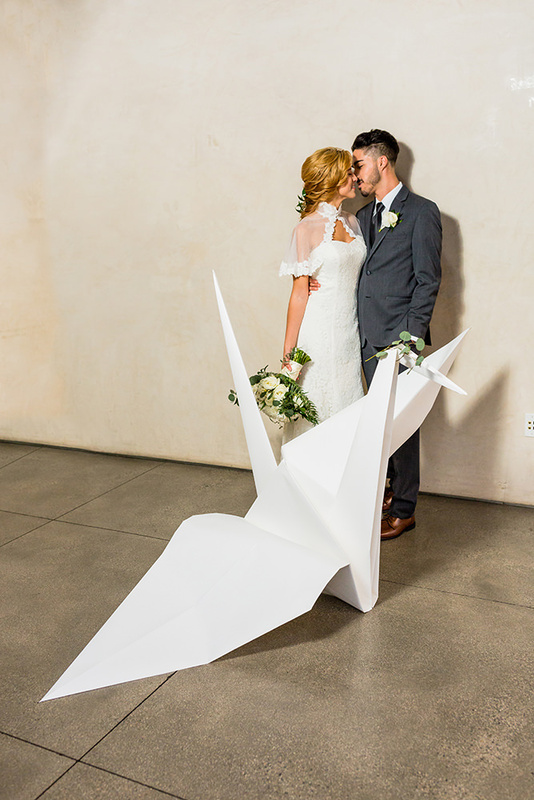 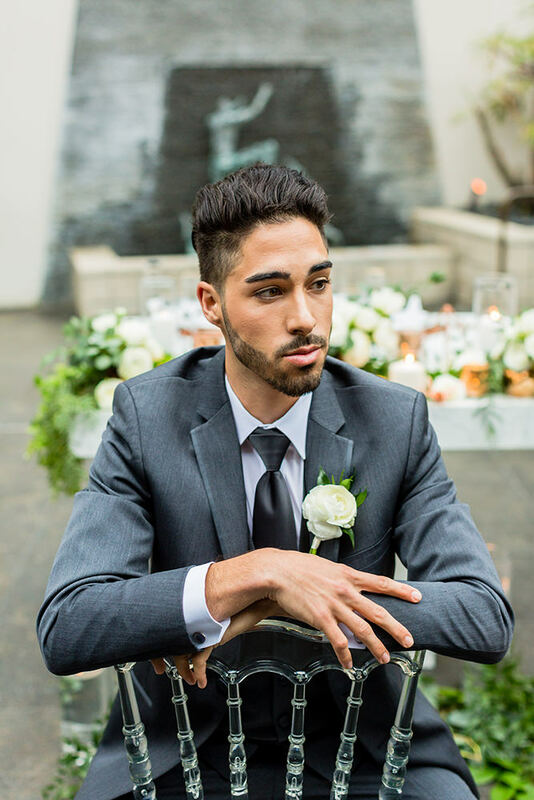 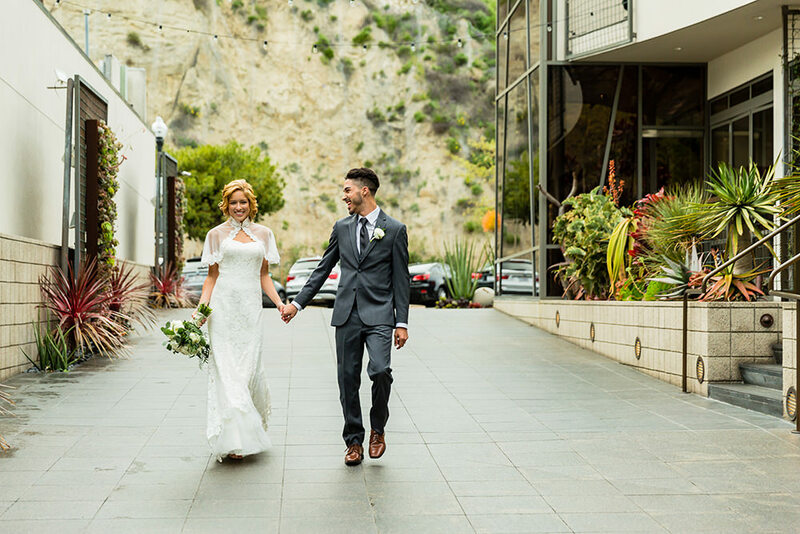 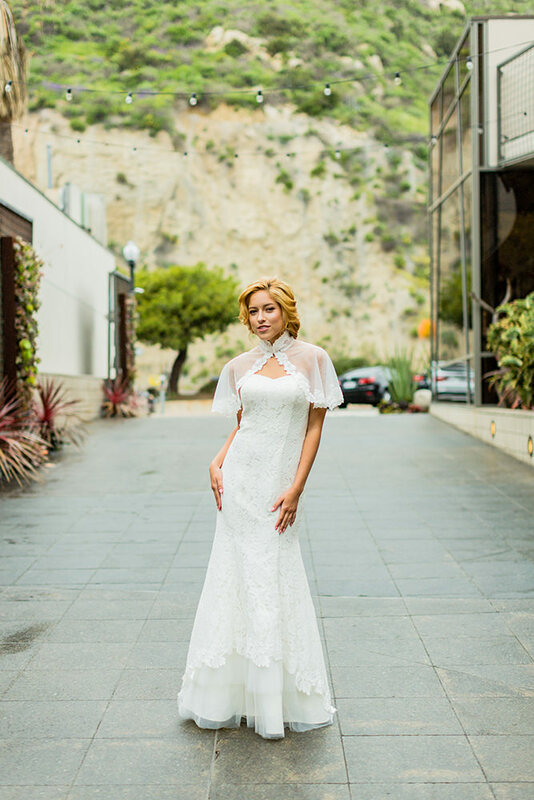 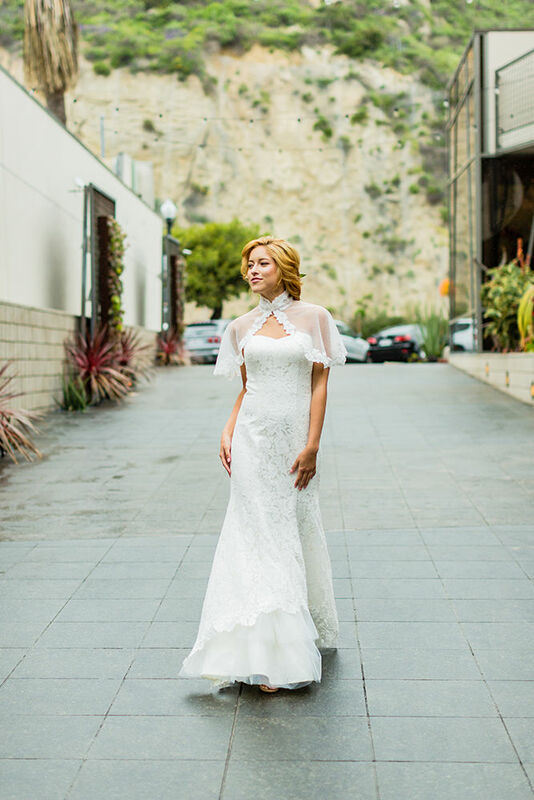 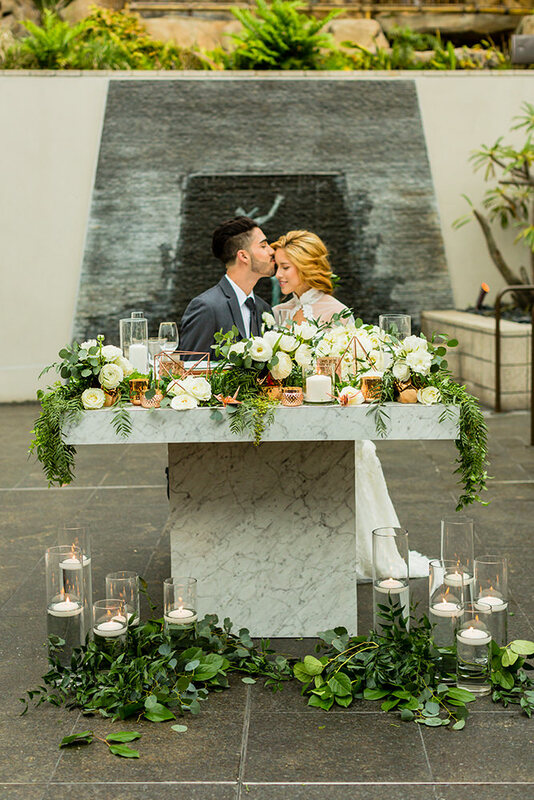 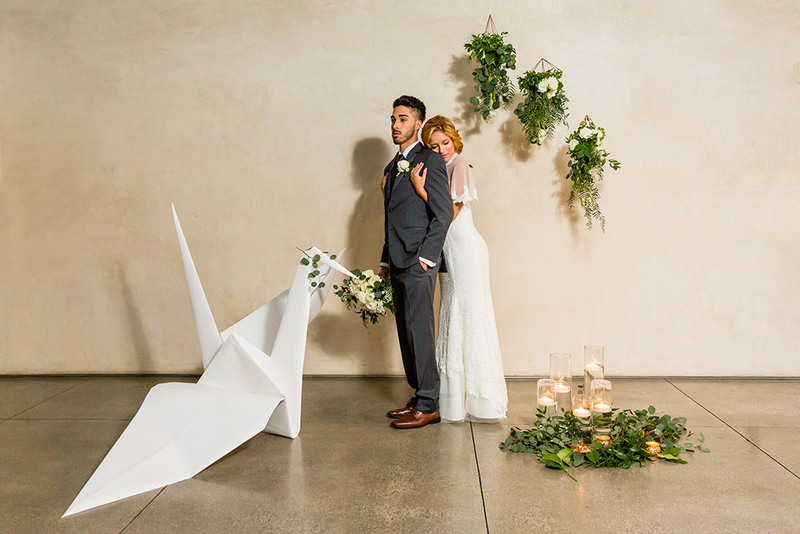 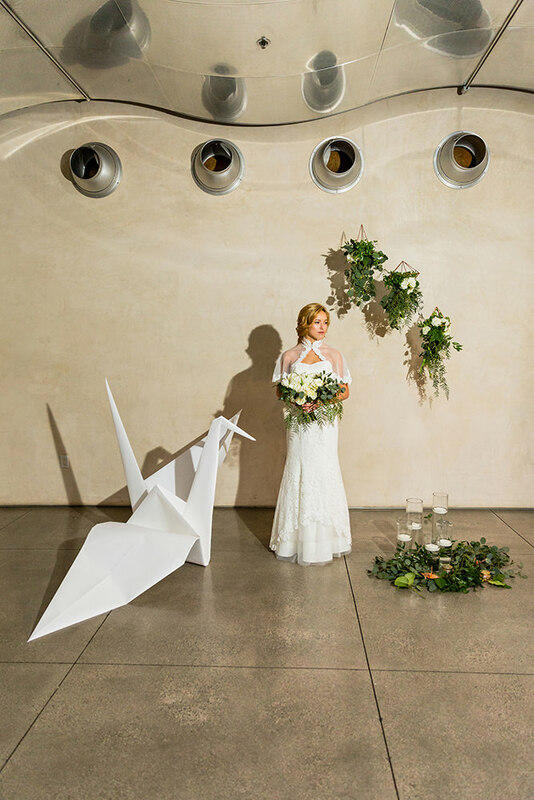 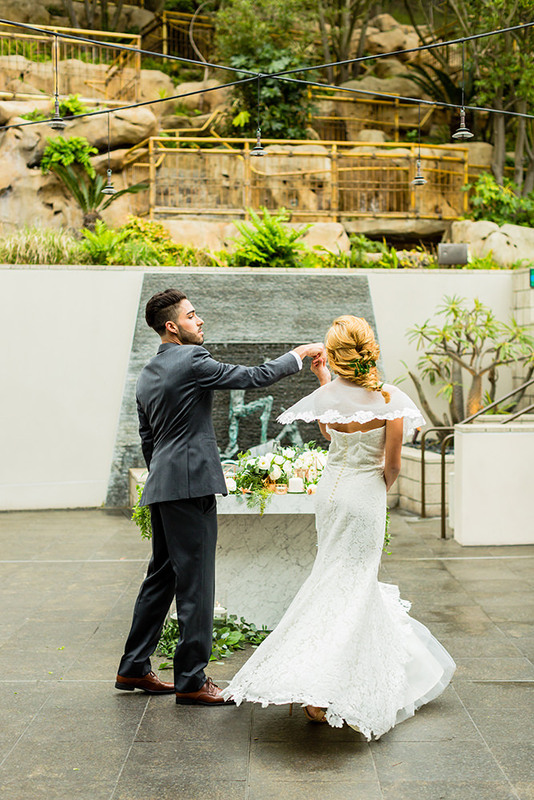 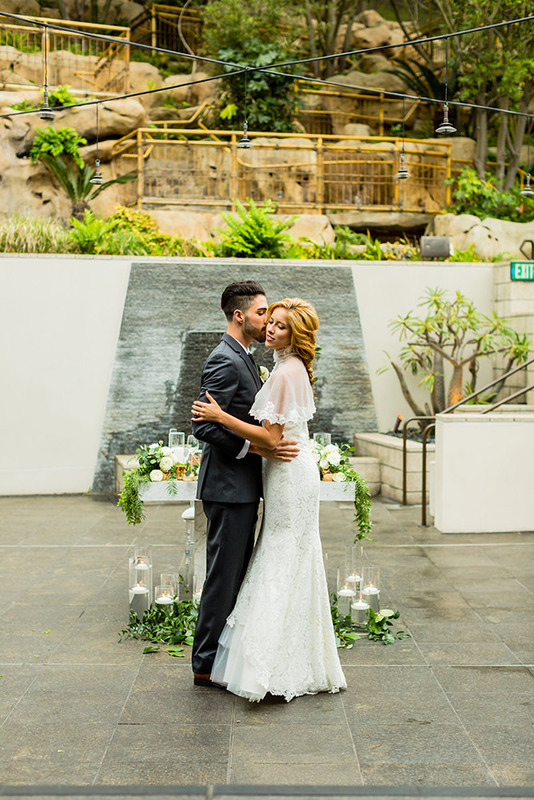 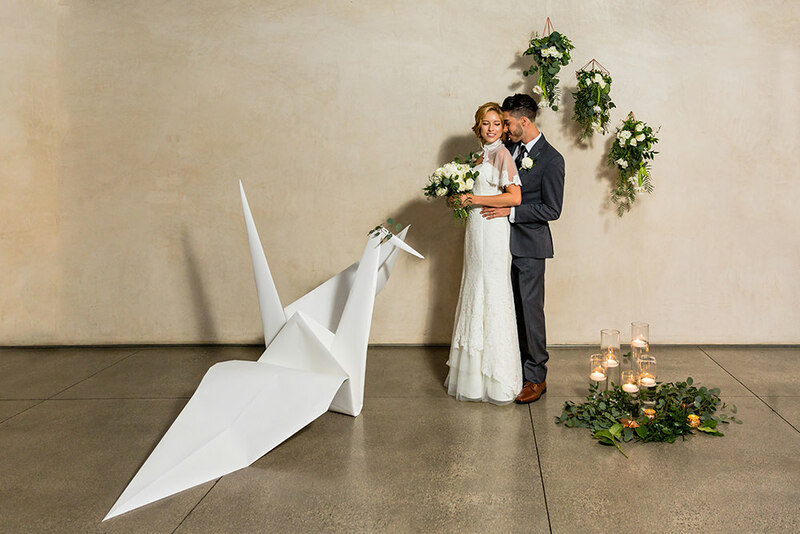 The shoot took place at the award winning Seven Degrees venue in Laguna Beach, which provided the perfect backdrop with its clean, contemporary and geometric architecture. 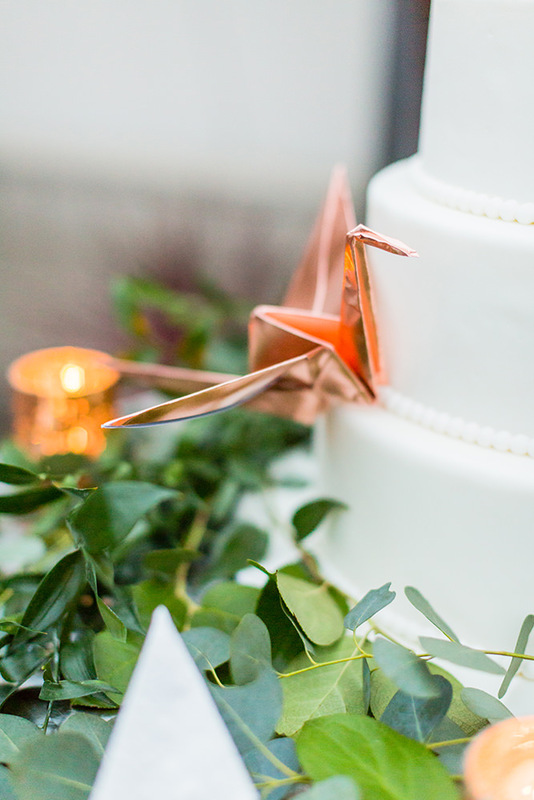 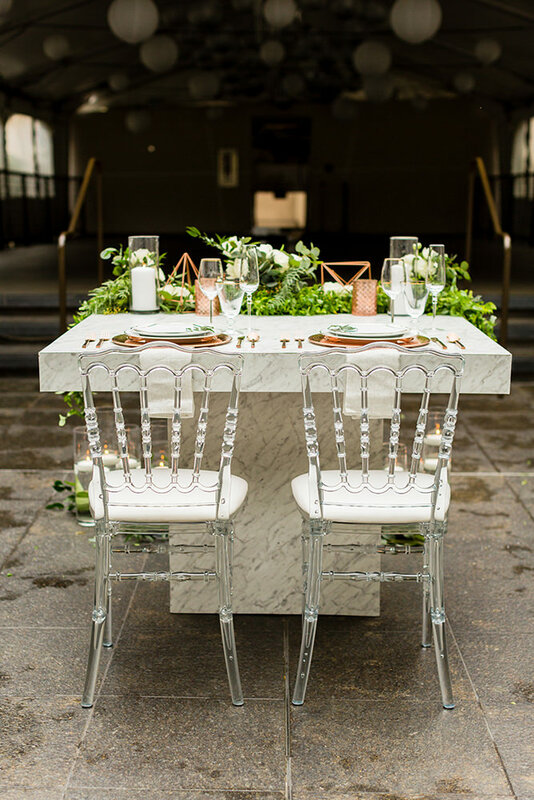 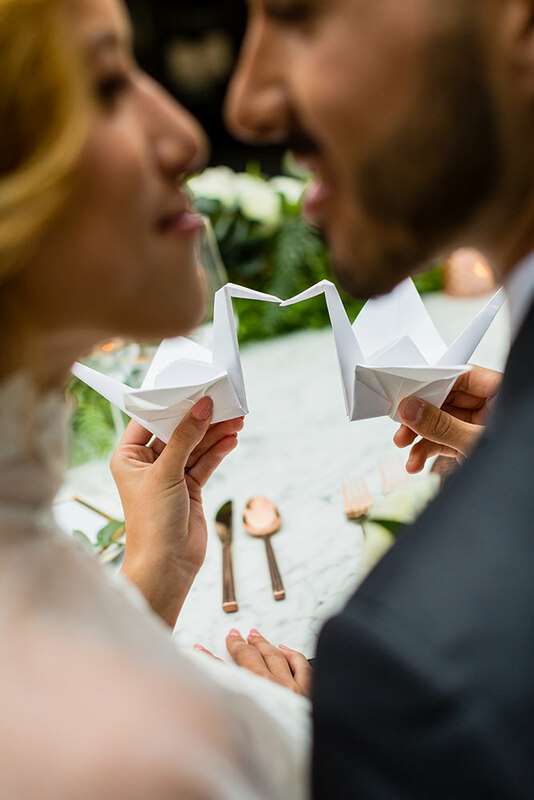 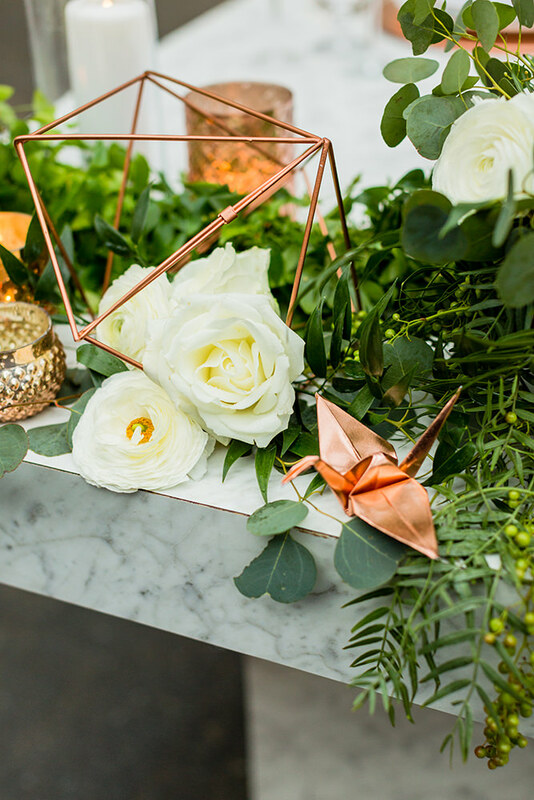 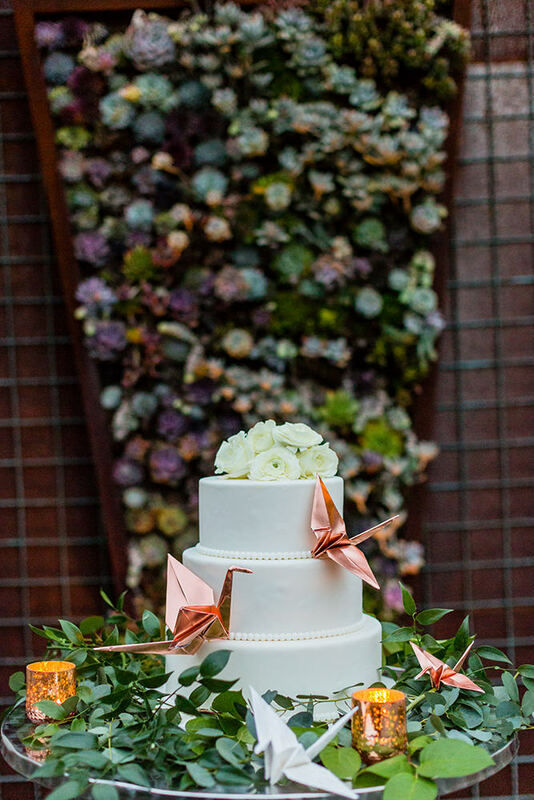 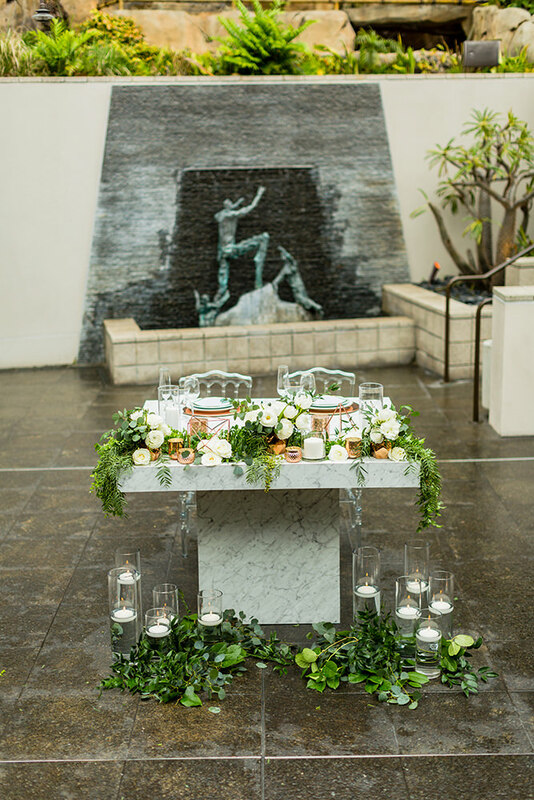 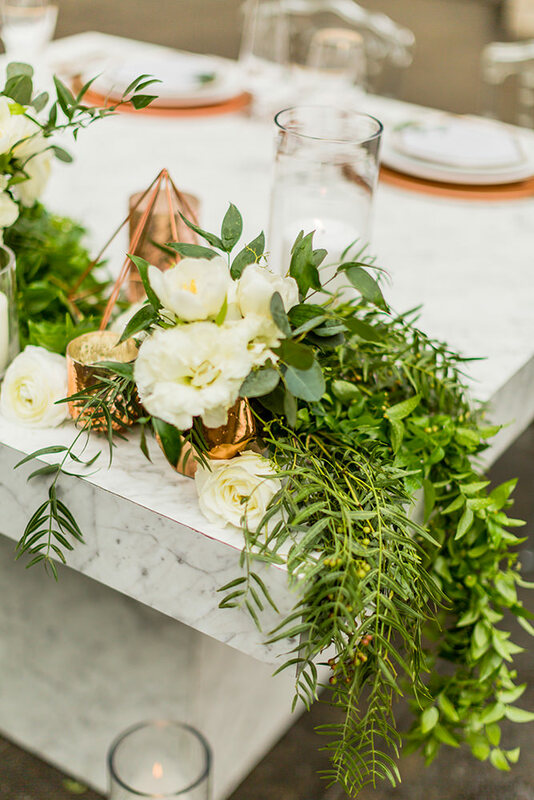 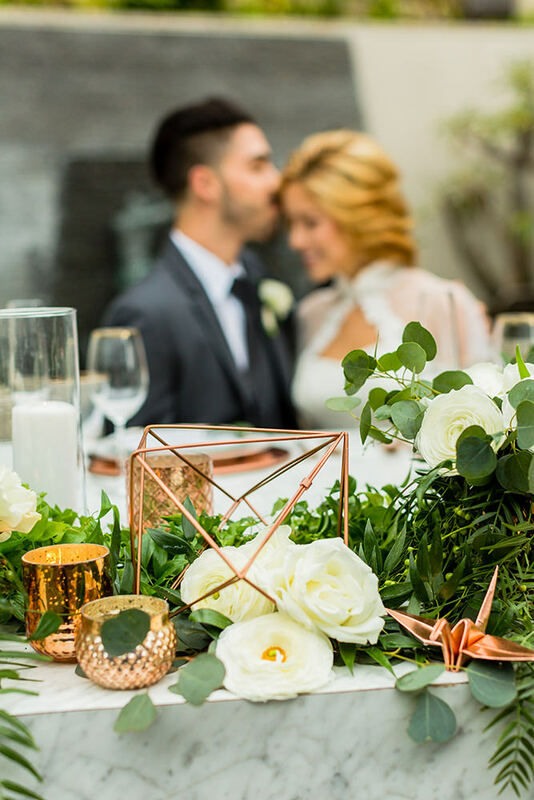 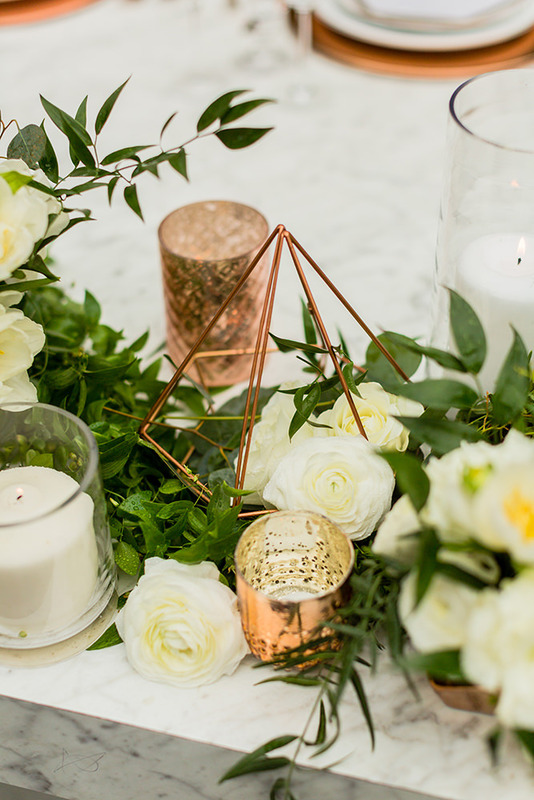 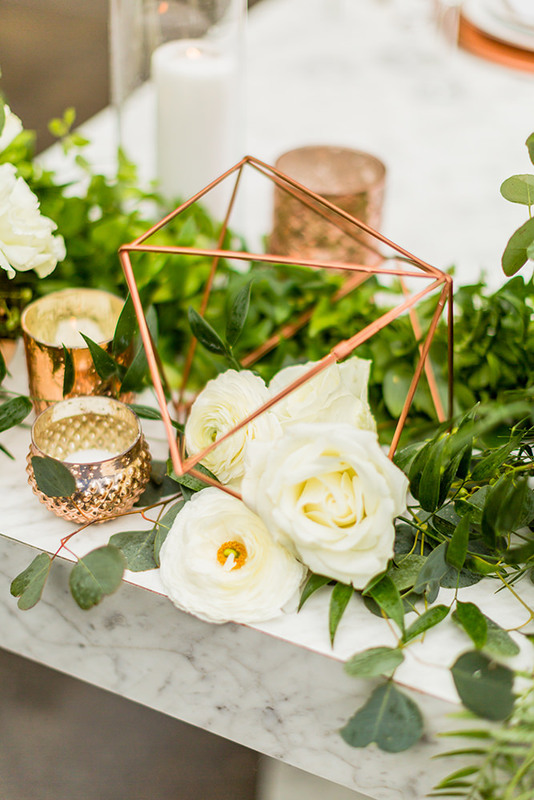 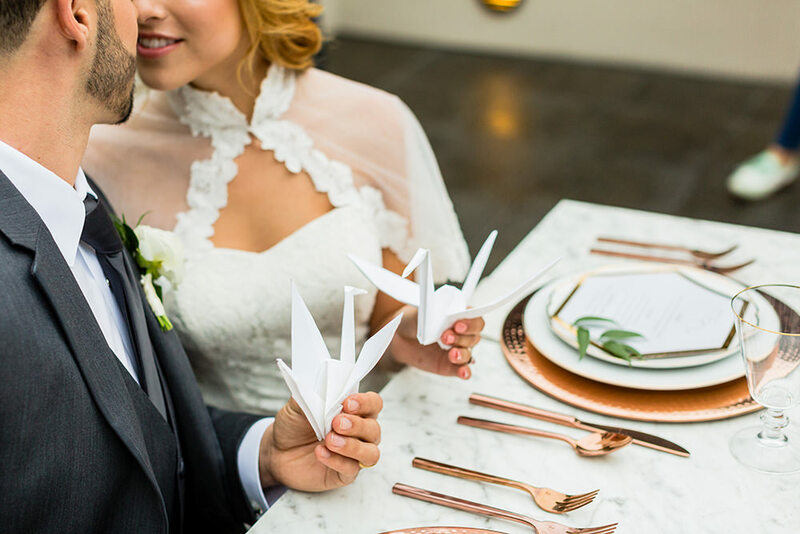 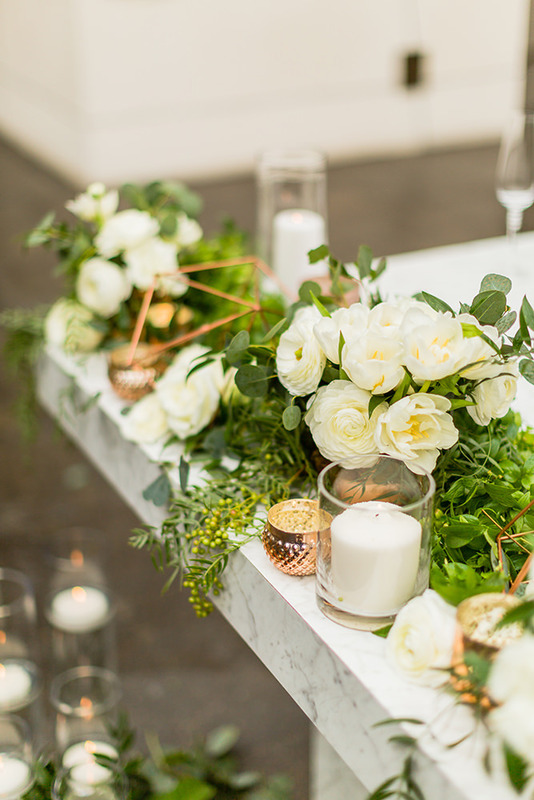 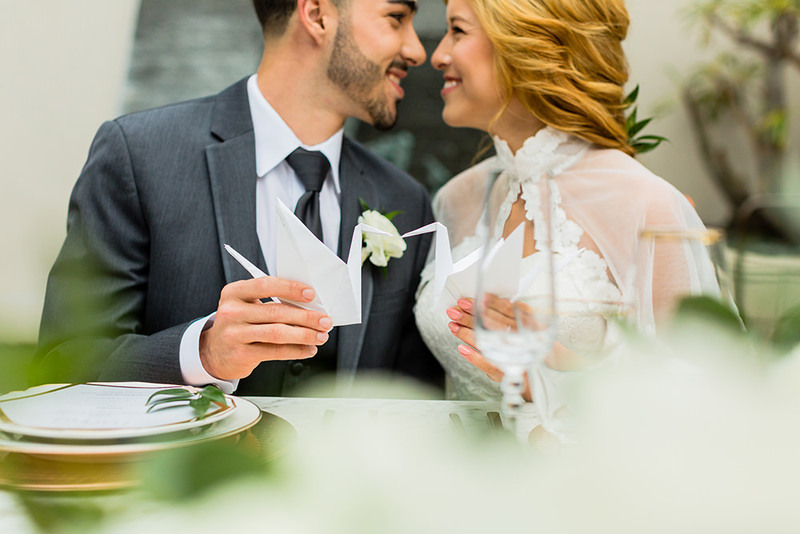 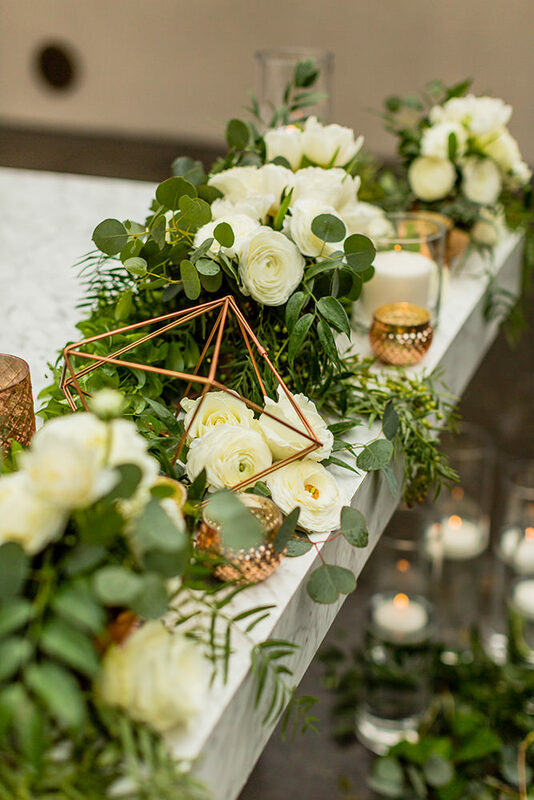 Soft white roses and green ferns were showcased in the floral arrangements incorporating the Pantone color of 2017 “greenery” and metallic copper was used as an accent color in both the decor with geometric shapes as well as the cake, which features hand folded origami paper cranes, a symbol of happiness, luck, and peace in Eastern culture. 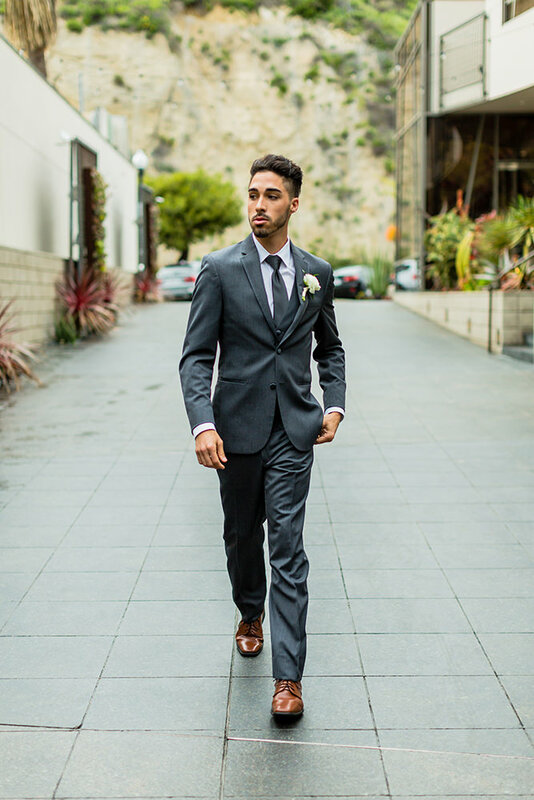 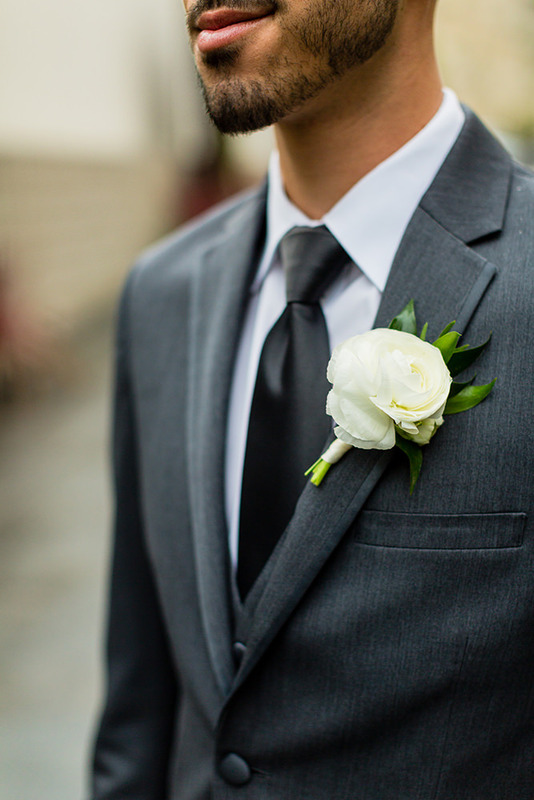 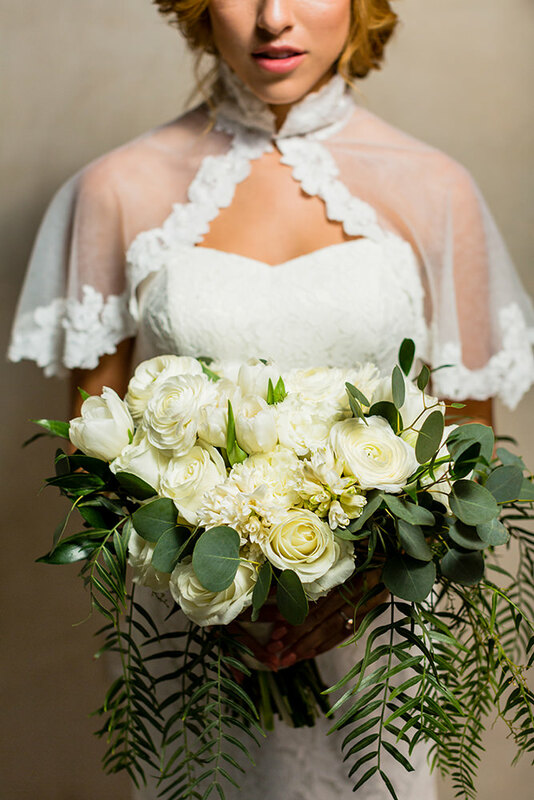 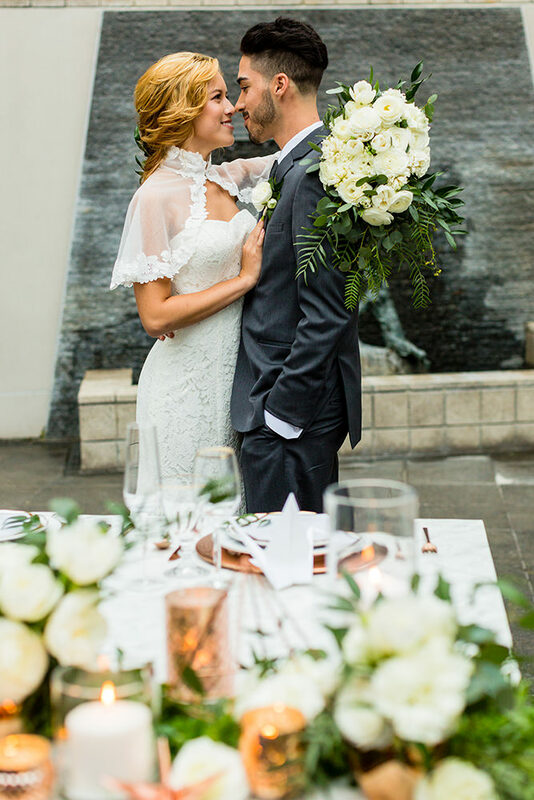 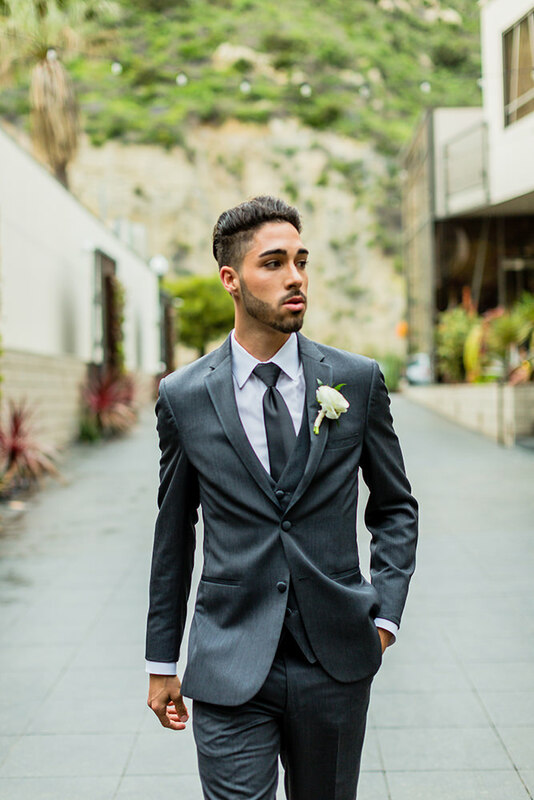 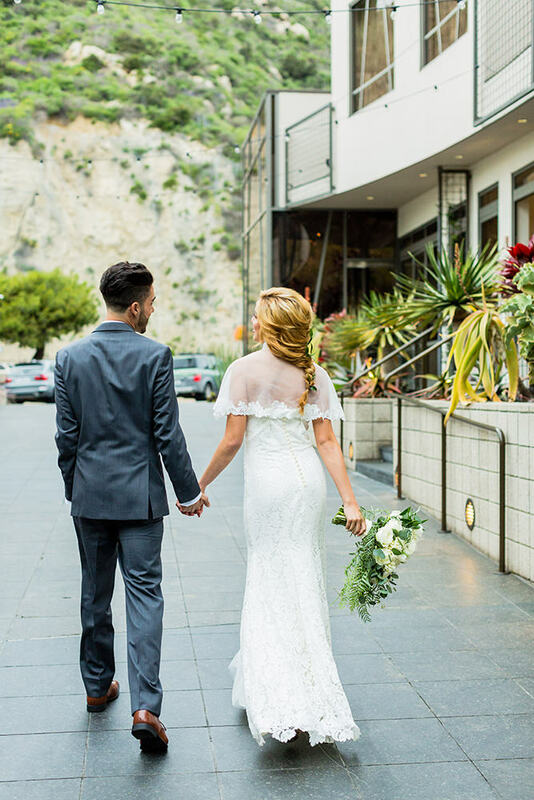 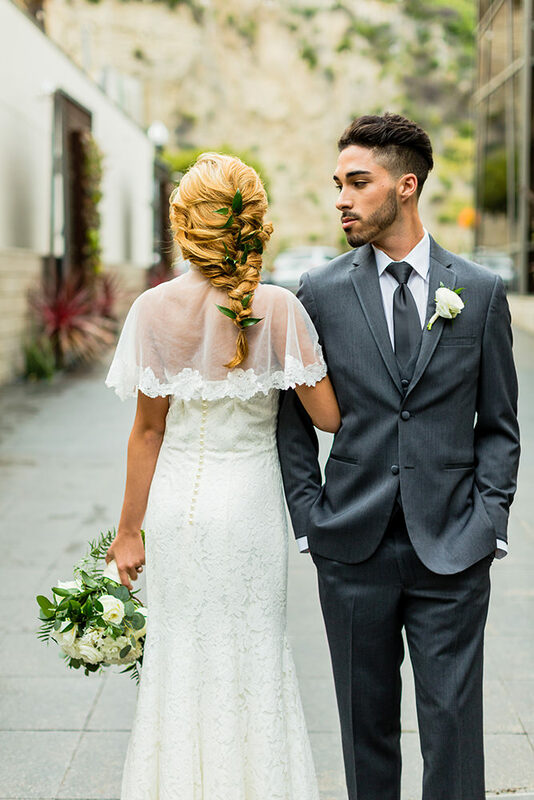 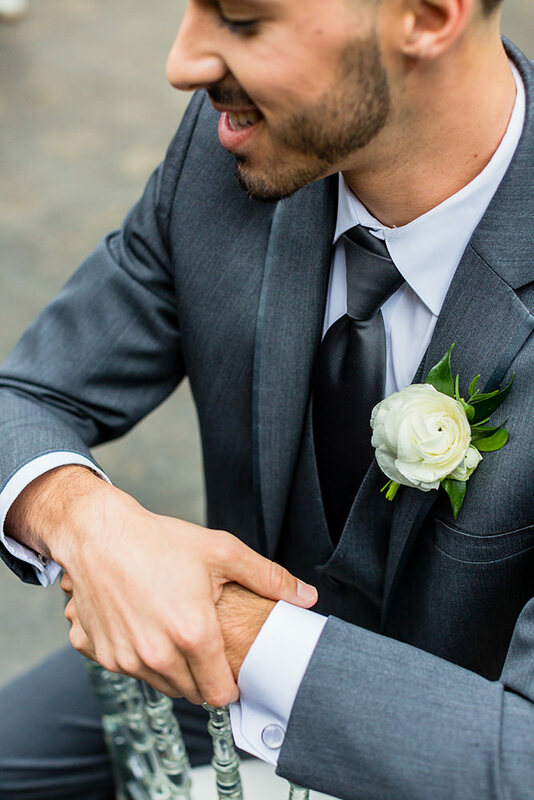 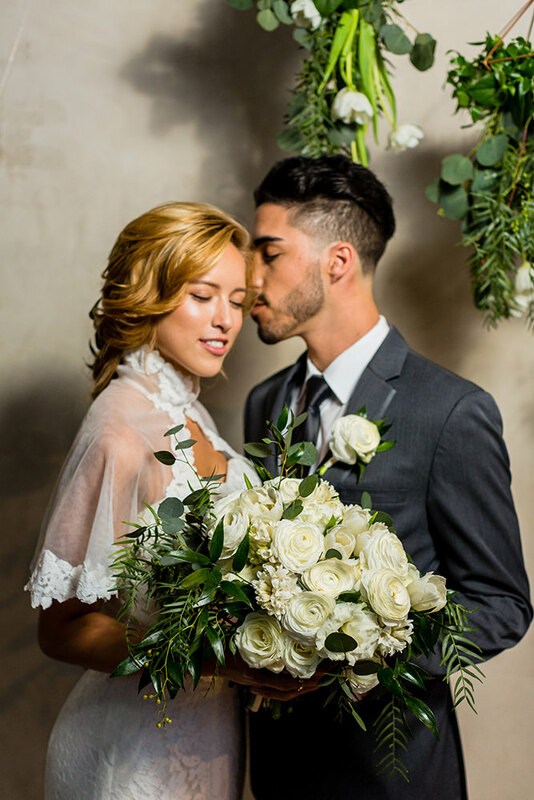 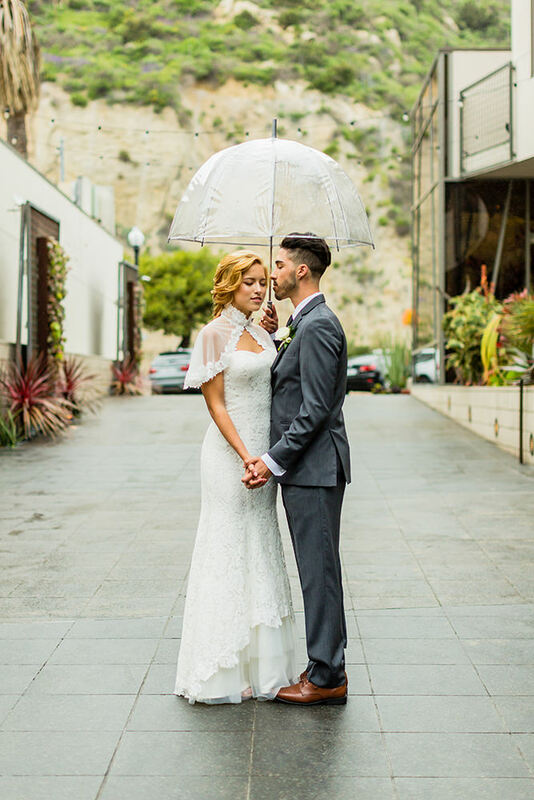 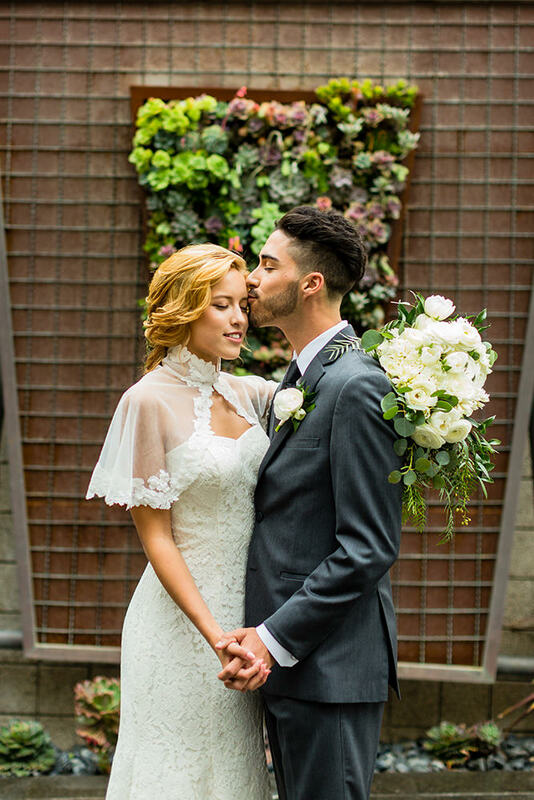 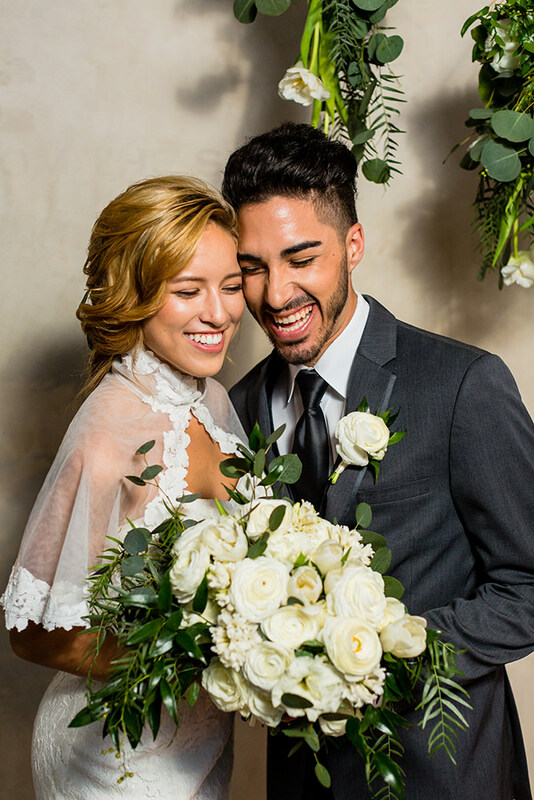 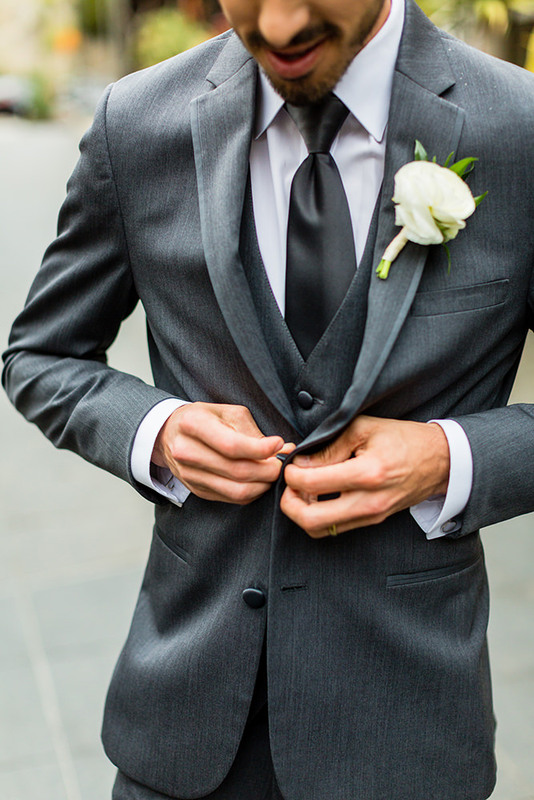 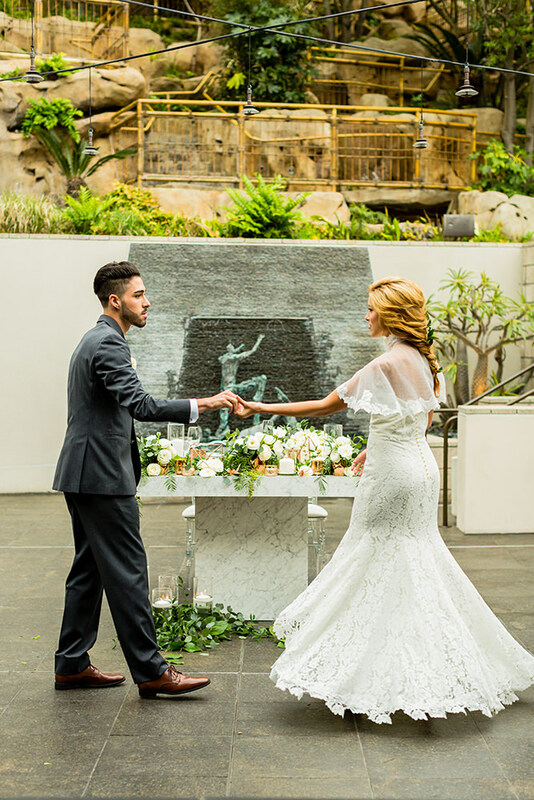 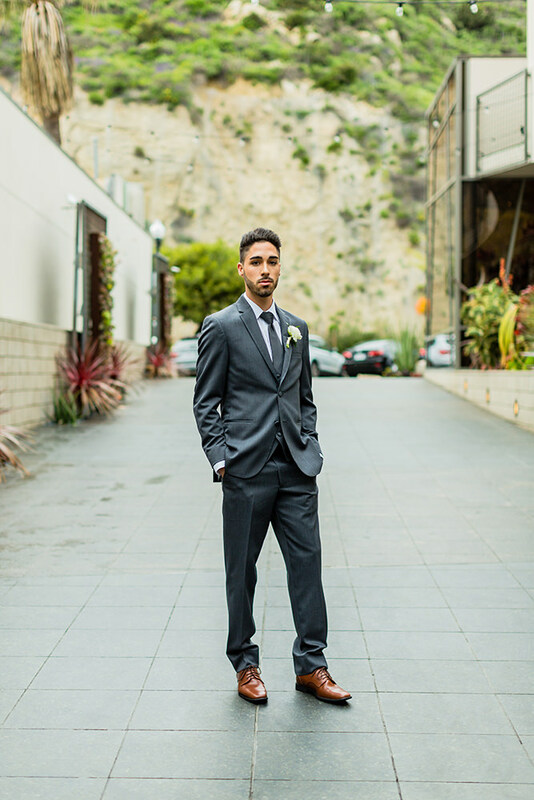 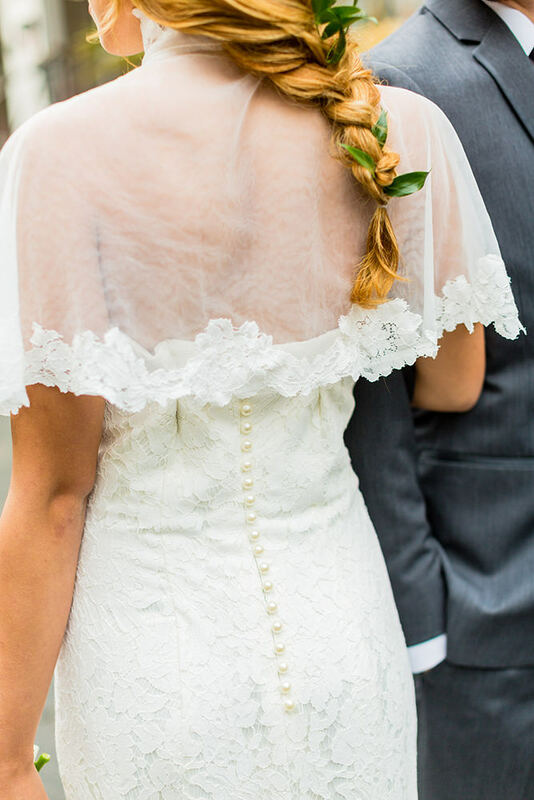 The bride modeled a soft capelet adorning a lace a-line gown with tiered skirt and the groom was dressed in a slim cut three piece grey suit.